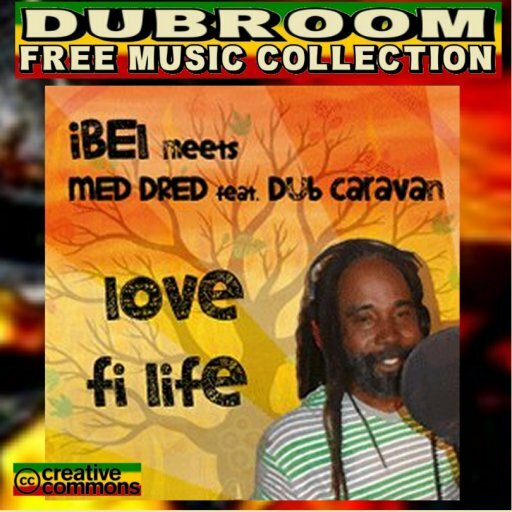 WWW, August 2014 - Three vocals, four dubs: Love Fe Life is a joyous collaboration between Jamaican vocalist Ibel and Med Dred based on another island, namely that of Cyprus. The Mediterranean vibes are there, undeniably. The Jamaican vibe, too. There's even a UK Dub vibe coming in the form of a Dub by Dub Caravan. Get this one for some Ireness! Ibel Campbell (b. 1967) is a conscious, peacefull Rastaman who loves to share good vibes, because he knows that this is so much needed. Not just on Jamaica, not just on Cyprus, not just in the UK but everywhere. Love Fi Life comes with three vocal tracks, all equally conscious. Four dubs, too. The last track, dubbed by Dub Caravan in the UK is the heaviest, the other three dubs are more dub counterparts to the vocal tracks, giving you some time for meditation on the words you just heard. 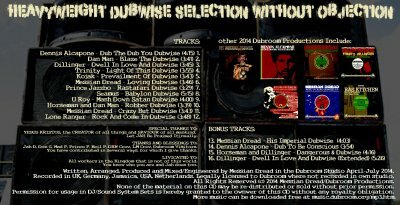 WWW, August 2014 - With the Dub Key Net Label based on Malta, Dubophonic is the next step in a Mediterranean Roots Reggae and Dub take-over. Based in Cyprus and founded no earlier than June 2013, the Net Label has been on steroids when it comes to their (free) output. In August 2014, the counter stood at sixteen free releases while they recently started putting out their first "VIP" (buyable) release. One thing is for certain: Dubophonic take their net label serious and so it should be. It's not just the amount of releases in a certain quality, it is the work on their website, liner notes and massive press feedback. Centered around Dub Thomas, but not limited to him. A look at the artist names reveal a variety of styles and genres, from heavyweight Dubwise to a more lighter variant, Dubophonic strives to cater to all lovers of (conscious) Reggae and Dub. 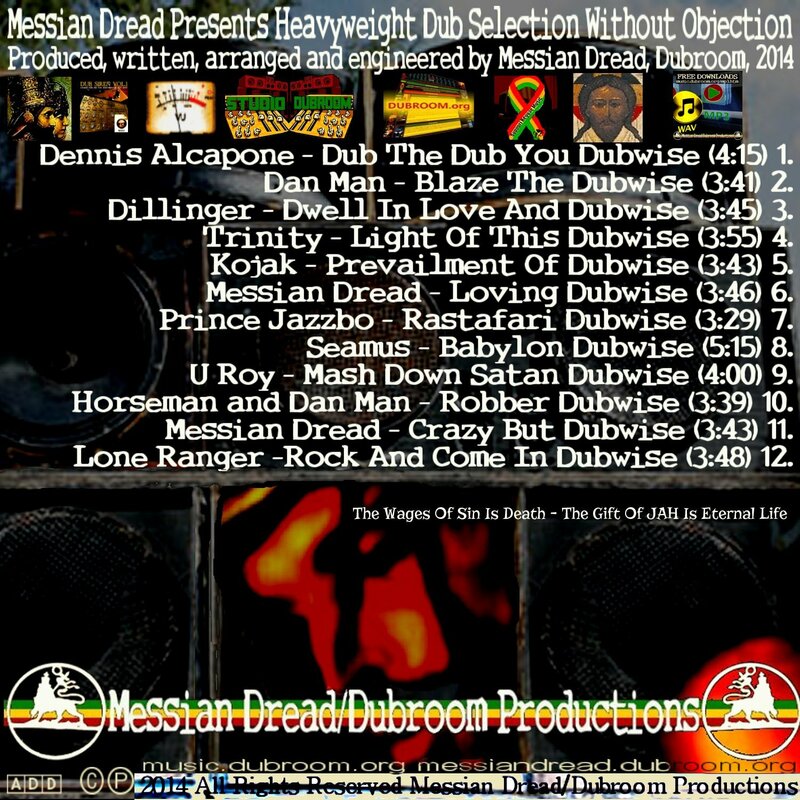 WWW, August 27 2014 - About a week after the release of the Net Album, here came the CD edition of Messian Dread Presents A Heavyweight Dubwise Selection Without Objection. No less than 16 tracks, a special license for all DJ's and full high quality cover art: it most certainly transcends it's online version. On top of that, obtaining this physical product will show that you are not just serious in your support for (DUB) Reggae Music, but about your own record collection as well. After all, this is a selection of very special tracks featuring legendary names like U Roy, Prince Jazzbo and Dillinger. Of course, when you're just interested in the music and satisfied with burning your own CD you can simply jump to the Net Album download page and get the CD Quality wave files from there. No problem. 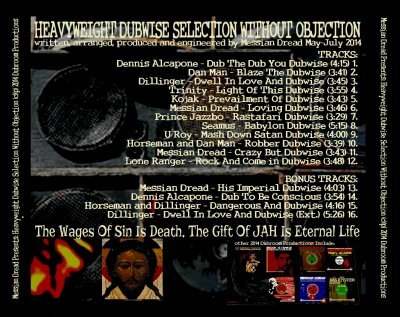 This is not a release to make money, this is not even a promotional tool for Messian Dread and/or Dubroom Productions, while most of the vocalists featured on the album absolutely need no promotion either. This is simply an opportunity to get your hands on a physical presentation of the 2014 developments in the Dubroom studio and the reasons to want that can vary. The reasons for the creation and eventual release of this album didn't vary. It's a selection without objection, after all. A selection documenting the enormous improvement in sound and other quality when compared to pre 2014 Dubroom productions. One reason. A selection that deserves to be presented with the special designed cover art because it tells a story. Another reason. A very special way of saying thank you to all those who have been supportive in one way or another. More reason. A physical quality product that more than justifies the price because it is a valuable addition to any Reggae record collection. Nuff reason. This is a high quality product like any audio CD. The full color cover art (including on the disc itself) is printed in superior quality and the tracks are exact duplicates of the CD Quality Master Tapes (16 Bit, 44.100 Khz). The album itself was created in a special process at AMAZON.com called Create Space. The musical works, the cover art, getting a UPC number: it took several days of working, tweaking, and reviewing both at the side of the Dubroom and at Amazon's. The process was concluded when the physical review copy was sent to the Dubroom via very snail mail and subsequently approved before it went live at Amazon. In fact, Amazon is the only place where you can actually get the album. The price is set at $12.50, which is quite reasonable for 70 minutes of pure heavyweight Dubwise and since Amazon has all these special shipping offers, it's even possible to have it shipped to your doorstep for close to no costs. The CD and cover art are printed on demand exactly like the copy that was physically reviewed and approved at the Dubroom, so you'll have the sign of approval from the Dubroom. Since Amazon is responsible for creating and shipping the exact high quality duplicate of the approved copy, you will have all the Amazon guarantees when it comes to the quality of the physical product itself. In short: The Dubroom approves the album, Amazon certifies you'll get what we approved. 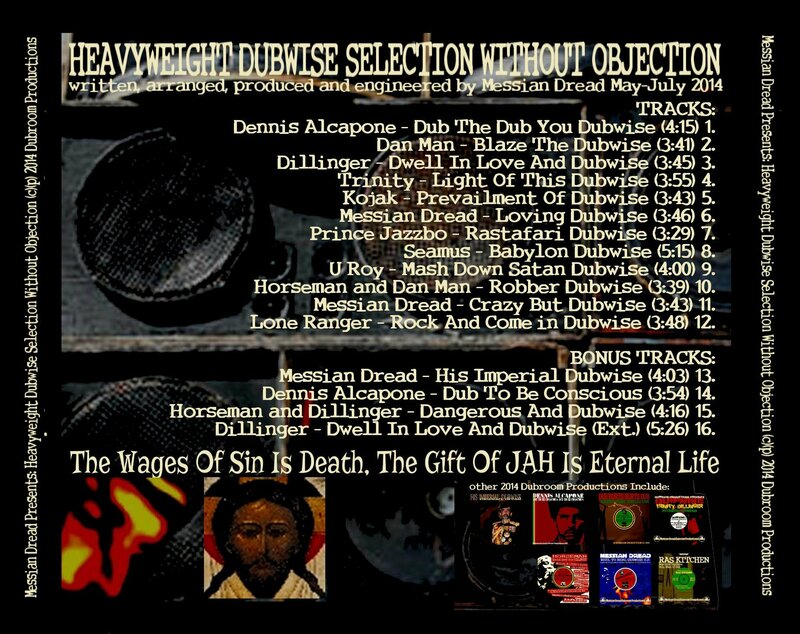 A labor of love for (DUB) Reggae and the many vocalists present on the album. Purchasing it is an equal "labor" of love for the very same. 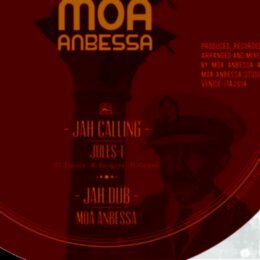 WWW, August 2014 - After five years of silence in the vinyl area, the Italian Dub collective MOA ANBESSA has scheduled a 12" release for September 15 in this 2014. The Dubroom had a chance to listen and wholeheartedly recommends all vinyl addicts to go and order the 180 grams of Roots Reggae Ireness from the Venice crew before it's sold out. It's almost impossible to follow the Dubroom and not know about Moa Anbessa. This collective of conscious Singers and Players of instruments (including the mixing board) stood at the root of the -now online legendary- Italian Dub Community Showcase series, while their productions are well sought after by selectors of major Sound Systems like Aba Shanti-I and Jah Shaka. This is Roots Reggae (Dub) in it's finest form, namely that of the conscious kind. It comes with the kind of communication that actually fits the massive sounds of the drum and bass lines. They have no need to be introduced when you have downloaded the Italian Dub Community Showcase series. Solid as a rock, the Rock that is that solid foundation. The musical vibes go straight to your heart, and so does this vinyl release. Even more: those who know their vinyl usually prefer it over MP3 or even CD because of the lower frequencies and they definitely want these tunes. Actually, we're talking about two vocal tracks with their (separate) Dub/Instrumental counterpart. Two singers, too: Prince David and Jules I. 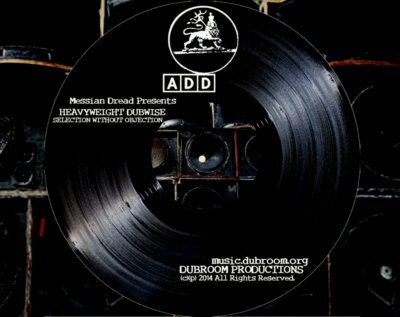 Both are part of the Moa Anbessa collective, and both tracks have served as Dub Plates for the well known Aba Shanti-I Sound System until they were printed on this 12 inches of Righteousness. In fact, this release is not planned to be anything else but what it is: a stricktly vinyl release. Both Prince David and Jules I deliver a very strong message. Actually, it is a call and a message. A remembrance call to all people, that is. A remembrance call to praise the Creator, to start following His ways rather than the vanity that Babylon has to "offer". It's a message of strength and encouragement to all those that are already aware that we have a Creator and that He must be praised. Yes, this is the kind of Roots Reggae that is so desperately needed in so many places all over the globe. Both singers deliver their call in a very heartical way, a way that can never be matched by the Babylon Industrial voices pushed into our ears each and every day. Now, the music and especially the Dubs. Both tracks are steppers. "Watch Them" would musically be the sugar part, "Jah Jah Calling" the spice. Of course this becomes all too clear when you're listening to the Dubs. Or, to be more precise: an instrumental and a Dub. "Watch Them" comes with a pure instrumental (often called "pure riddim"), "Jah Jah Calling" is followed by it's militant, hard stepping Dub version. The production itself is clear yet fat, evidently mixed for vinyl. 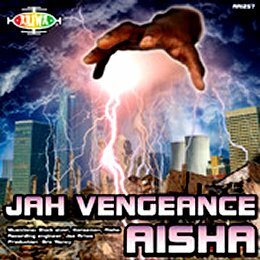 A very, very fine release that is expected to be in the better Reggae stores both online and offline from September 15, 2014. Phasebookers (and non-phasebookers) should visit https://www.facebook.com/MoaAnbessaItaly/ or http://controltower.fr to (pre-) order the release. Unfortunately, Moa Anbessa does not have a website of their own but these two links destroy that excuse not to buy the vinyl. Also, watch out for another release planned for November 2014. 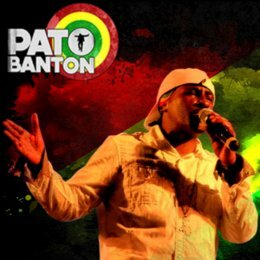 WWW, August 2014 - Pato Banton has his way of dealing with his voice and lyrics: he is a master of saying the serious thing in a funny way without making fun of the situation itself. Yes, intelligence galore in his many releases, of which Mad Professor Captures Pato Banton remains to be a standard of UK based sing-jay or toasting. During his decades-long career, Pato Banton voiced for UB40 and many other UK based famous acts. His sense of humor, his usual focus on social and spiritual topics, he combines everything in an undeniable special and personal style that has -in the mean time- lifted up the souls of millions of listeners and viewers of energetic concerts. Check out this remarkable talent! Sure, there were times when it was simply not possible for your average online Dub producer to obtain vocal material in a legal way and not get bankrupt. 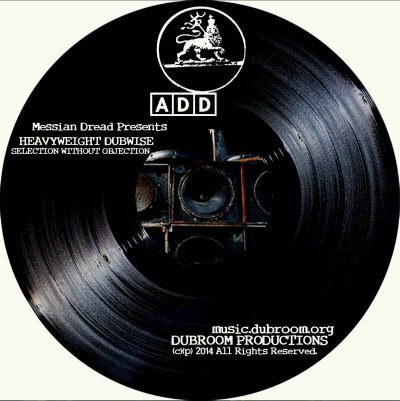 Even stronger, there simply was no vocal material available for use in your own productions until more recently, when DUB DROPS released their excellent "SOUND SYSTEM VOCALS" featuring Dennis Alcapone and Horseman. Three releases, all three reviewed in the Dubroom and used in the productions of the studio that is attached to this website. 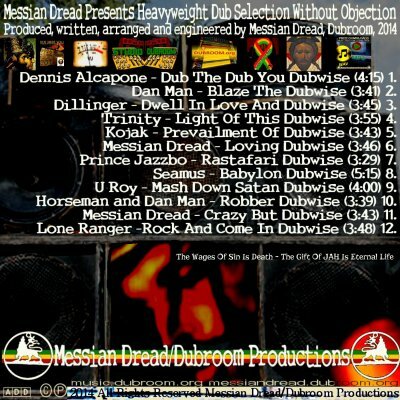 And now there is the line of Reggae & Dub Acapellas by Don Goliath. Or, to be more specific, presented by Don Goliath, who also contributed vocally. When you've never heard of Don Goliath, and you're looking at names like Horseman and Dennis Alcapone as an alternative option, you can make the enormous mistake of overlooking this line of Reggae Vocal sample releases. A mistake which can easily be overcome, though, by continuing to read this (first) review. All six names have, like Dennis Alcapone and Horseman, legendary status. U Roy can be considered the founding father of DJ-ing, not just in Reggae but in every style of music including Hip-Hop. Lone Ranger has been voicing for Studio One, the starting point of too many careers to mention. Dillinger had a world hit with "Cokane In My Brain", Trinity voiced the classic "Jesus Dread". Before Kojak chanted as a DJ, his got a name as part of the duo Kojak and Liza. Prince Jazzbo features on classic albums from Black Ark and has many essential productions on his own name. And that's just a little name dropping to set the tone. The tone of Roots Reggae as authentic as authentic can be. Yes, you've guessed it. Don Goliath's series has all six of these famous vocalists included. Among much more, that is. WWW, August 2014 - It has been quite, quite a while since we've heard anything comming from Sister Aisha, especially from Ariwa's studio. This has now changed, even though it's a single we talk about. Complete with a heavy, heavy Dub mix by Mad Professor this is a heavyweight release that should not miss out in your catalogue of conscious Roots Reggae. Yes, this is a re-make of the Yabby You classic. And what a remake it is! Just like Yabby You, sister Aisha is known to have her spirituality well connected with her musical output, both on stage and in the studio. Just like Yabby You, Mad Professor knows how to capture this spiritual determination on the tape machine or whatever it is they use nowadays in the legendary Ariwa studio. The classic riddim has not lost one inch or ounce in this 2014 remake. It's arguably stronger, and definitely more contemporary which has it's advantages. As Aisha sings the oh so important lyrics in a way that demands an ear, the music is more than illustrative of the words. It's the riddim itself, sure, but it's the sound of Ariwa as well. A sound that is driven to the fullness in the accompanying Dub, mixed by the Mad Professor. For a Dub Head like yours truly, the choice between a the Vocal or the Dub version is more often than not, well, just not a choice. It's about the Dub and too much lyrics can become like too much gunshots in a bad western movie anyway. Not with his one, though. It's not just the fact that ones who like Aisha (and who doesn't) will gladly pick up her latest tune simply because it has been too long. No, it's also the fact that in itself, this single stands so strong in it's message, the words are so serious where you hear that yes it's a good singer but there's something more. Yes, much more. Perhaps that is the reason why the Dub version is so outstanding as well. This is definitely not just a B-side or however you want to call the Dub versions in their digital releases. 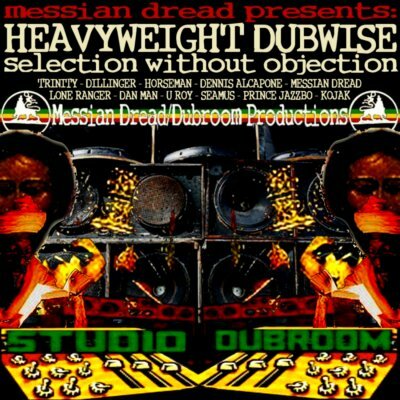 This is a more than crucial Dub, it's almost like the Mad Professor knew that with such a vocal version you kind of need all you have in your studio to give it at least a balanced counter-weight. Almost? Of course he knew. Get the single at ITUNES or even better, get the two tracks free or for just 1 USD at EMUSIC. And check out the vocal at Ariwa's Youtube page. WWW, August 2014 - When you're involved or interested in music production, it's almost impossible to not notice how many websites carry advertisements of LOOPMASTERS.com. When you've recently visited Studio Dubroom or enjoyed the music we've released since April this year, it's even totally impossible to not know about this website. 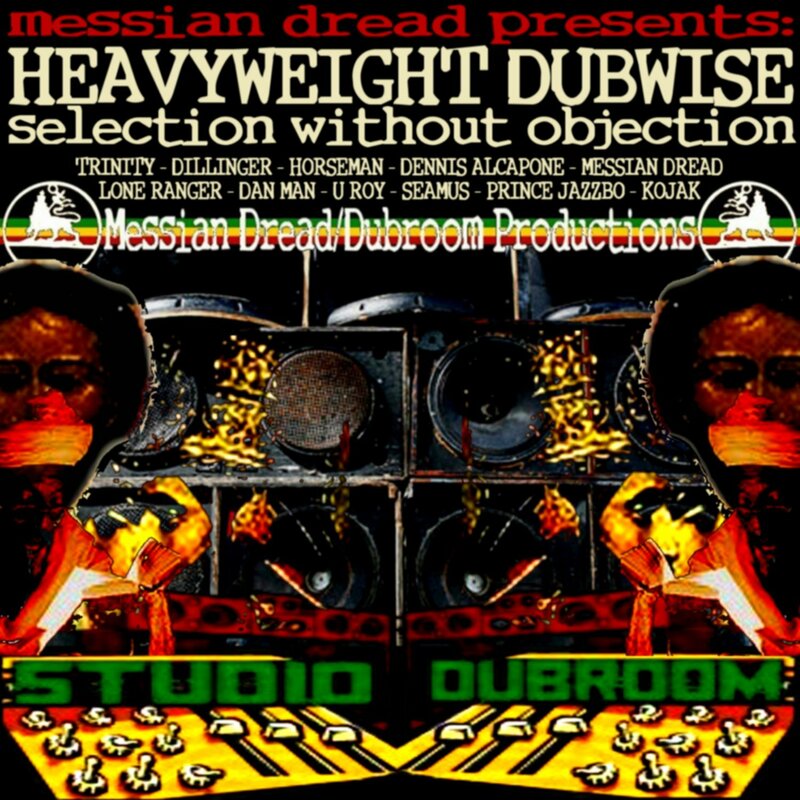 Messian Dread reviews the "Sample Boutique" from his perspective as an online (DUB) Reggae producer. It was somewhere in the beginning of 2014, that I was browsing the Web in search for some material to use in my music. I had been kind of silent for quite some years, and one of the reasons for that was that I was kind of finished with the sounds that I had produced for some years. Finished with my virtual brass section, finished with my own vocals, and very much impressed by more recent online works from Net Labels mainly in the digital spectrum. I have this thing with in-your-face digital Dub and other Roots Reggae. I love it, I can make hours and hours of DJ mixes carrying the sounds. I can't, however, produce it myself. It's simply not there, in my soul. At least, not at this moment. After several failed attempts which I don't even want to discuss, I felt myself kind of stuck between the stuff I produced earlier and, well, something I wasn't really sure of. In this state of mind, I was kind of looking on the Internet for some stuff to work on, or with. Typing all kinds of key-words into the search engine, getting all kinds of websites with shady contents that might be nice for some private productions but for the rest has, let's say, legally questionable material. Sure, it would be nice to download an Acapella by let's say Luciano and be able to create a musical work with it that you can release, right? Well, forget such niceness when you use shady websites like the ones I just described. Someone once said, in a different context: "Do as they say, not as they do". I took that principal at hand, and went on to look for a legal variety. Is it possible, to get some good quality legal vocal material, preferably of the authentic kind? This is where I discovered just why almost every website with advertisements has this banner linking to LOOPMASTERS.com. Usually and like "everyone", I ignore banners and ads when I visit a website. The times that I've actually clicked on an ad because I was interested in the site can be counted using the fingers of one hand, and I'm online since the early 1990's. Being the "rebel" that I am, the more I see an ad the less I'm likely to click on it. The reason why I did visit the Loop Masters' website therefore had nothing to do with the publicity. The reason was simply I was looking for legal material, especially vocals, and my search engine gave me the link. The only link. Now, a few months later, I can only conclude that Loop Masters is the one-stop for most of the most authentic and legal online source material for the production of (DUB) Reggae Music. This is not my suggestion for a slogan to use in yet another banner, it is my personal conclusion at this moment. A conclusion which I would like to share, without apology but with reasoning. The first thing that I noticed, was a familiar name: Dubmatix. This Canadian producer is without the shadow of a doubt living up to his last name "King" when it comes to Dub and the North American continent. He knows his music, he knows his vocalists and he knows his studio. I looked further and discovered they had a sample pack with material from none other than Mad Professor. My fingers started to itch as I was clicking my mouse. However, I wasn't jumping to the "Sample Boutique" as they very pleasantly describe themselves to get Drum loops and such things. This is when I discovered what would become source material for literally all my productions this year, both released and (yet) unreleased or even unfinished. Source material for 10's and 10's of tracks, perhaps even well over a 100. Quality source material, for prices that make you laugh. Authentic quality source material, of which the first serious online review is yet to be written. This review -and the product reviews the Dubroom already published- is only the beginning of a serious promotion campaign to right that blatant wrong. Now, do I seriously think that Loop Masters is waiting for a Dubroom review to get customers? Absolutely not. In fact, I am convinced that they have a good running business and probably didn't even notice how the Dubroom reviewed one of it's products only days after it's release (Mad Professor's Reel to Reel Reggae Volume Two). The overwhelming major part of Loop Master's catalogue is aimed at the producer of Electronic Dance Music or EDM, so they're obviously not depending on "our kind of people" (Dub/Reggae producers). A kind of independence that -in the case of LOOPMASTERS.com- provides quality of the highest -read: non-commercial- kind. Let me put it in other words, more blatant. The music we love, (DUB) Reggae, is commercially not attractive. You will not score a world hit with a Dub tune. At least, not yet. 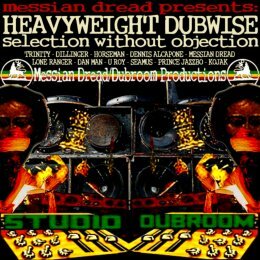 There is no strict commercial interest that will drive a provider of Samples and other Soundware to offer (DUB) Reggae related material. There must be some other reason for Loop Masters to offer the things they do, and I can come up with nothing else but a pure love for Reggae. So, what I'm reviewing here is actually not really the website LOOPMASTERS.com but rather the things you, as a producer of (DUB) Reggae music can find there. Yes, there is much more than what was already reviewed here in the Dubroom and even though eventually all interesting products will get their own review, you might not want to wait any longer after reading what you're about to read. Readers and visitors will have read about "Roots Step", a very contemporary form of Roots Reggae that appeals to lovers of DubStep and other forms of contemporary digital stuff. Roots Step is a sound by Berlin based producer DON GOLIATH, who has been interviewed because of his remarkable musical works. His countless tracks feature legendary vocalists like U Roy, Trinity, Dillinger, Kojak, Lone Ranger, and Prince Jazzbo. Others feature more younger but crucial singers like Ras Khaleel, Clifton Yeates, Seamus, Kamouflage, Kontent, Masta Jay, Assante and Tallis. Or MC's like Piracy, Lion Tafari, and Jah Rooti. It's rather difficult not to notice that some of these names feature in more recent Dubroom productions and in case you've wondered just how it is possible for the Dubroom to produce a Dillinger track, now you know. No, Don Goliath and I have not both been shopping at LOOPMASTERS.com. In fact, this is where I got introduced to this name, as Don Goliath is the one who provided the UK based sample boutique with 10's of acapellas he used for his own productions. Original acapellas, proven by the fact that many of the vocalists talk about the Don. 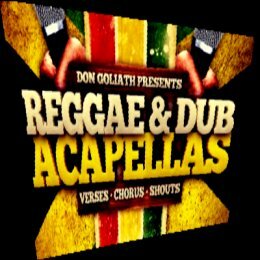 Under the name "Don Goliath - Reggae And Dub Acapellas Vol. 1-6", LOOPMASTERS.com offers full length lyrical acapellas including a license (quite important). Each volume has a number of tracks. You can buy a volume and pay less per track, or you can -like I did- pay a little more but only get the ones you want. A little nit-picking, because when you're looking at the prices you start to wonder why there is so little music found online that was created with one or more of the acapellas. Usually, when there's not a sale you will pay around 8 Euros per track. Immediately after you make a purchase, you get "virtual cash" in your account, which is about 10-15% of the money you just spent. You can use this "virtual cash" with a next purchase. When there's a sale, you can get an acapella for as low as five euros this way. Again, this includes a legal license to use the vocal works in your own productions. When I discovered LOOPMASTERS.com I could not believe that I had never heard any track featuring the vocal works before, in particular with prices like these. I see some non-commercial artists using acapellas from shady sites or jingles from albums that "everyone" knows, with the result that their own productions are shady and can never be seriously considered. This ridiculously cheaply priced series from Don Goliath -and other vocal releases at LOOPMASTERS.com- should put an end to that, in my opinion. Sure, there are many who -for one reason or another- are unable to perform online payments. Still, this can not be an excuse not to pay attention to the website or the sample packs they offer. It's what I did when I first visited the website: I downloaded the free demo files from all the Reggae vocal packs at the website and some other stuff as well, like Mad Professor's Reel to Reel Reggae. In itself, this was almost the weight of a complete sample pack but that wasn't the only fun these free downloads gave me. They included a license too! The demo loops are covered by our General Licence Terms meaning you can use them in your commercial productions with no further royalty payments. If you do use them commercially we would very much appreciate you purchasing the full pack in order to help support our Artists producing the packs, more releases and free samples. This simply means, that every online artist can -should- register at LOOPMASTERS.com, receive a free welcome pack and start downloading the demo files. It's free and gives your releases a legal foundation, which is not just relevant for obvious reasons: it is a sign of (self-) respect as well. It did not take me too long before I wanted more than the free packs I downloaded. These free packs, however, had already brought me on a next level. Remember, I was kind of looking for material because I hadn't been producing anything for years because I was finished with my sound. I had found the source material I was looking for. This was indeed a financial investment, but even without any purchase I have done at LOOPMASTERS.com I had material for many, many tracks. Licensed material, that is. For me, the Loop Masters boutique has provided me with just the right material to improve my sound to a next level. Something which in my idea can easily be recognized just by playing stuff I currently release and comparing it with my older stuff, like on my album "Showcase". No, I am not talking about easy-to-build tracks. In reviews I hope to publish later on the Don Goliath series, this will become very clear. I am talking about inspiring material that challenges me to go beyond what I used to do. Material that is educational, too. I wasn't asked or paid to do this review. 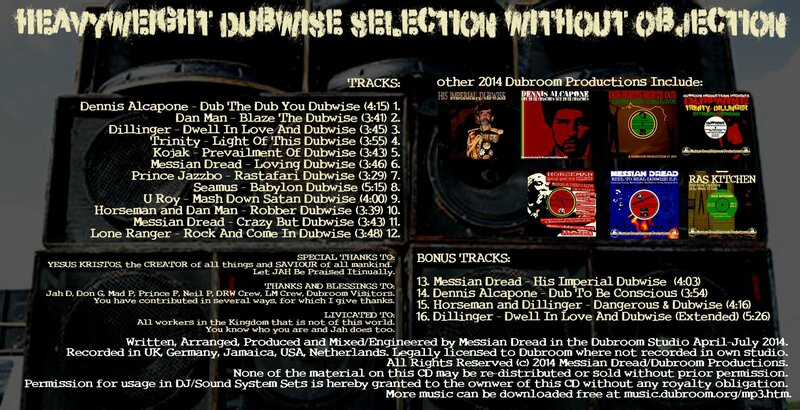 I wrote it because it is my work to promote (DUB) Reggae Music. Even my own productions and releases can and should be seen in that context. 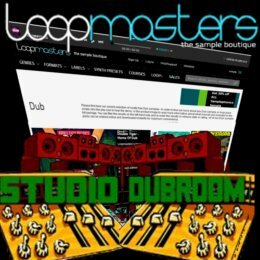 I think that when properly used, the material that LOOPMASTERS.com has for the average online (DUB) Reggae artist/producer can serve as a resource to improve the quality of many, many works. When you're serious about your work, a visit to LOOPMASTERS.com is almost as obligated as having a computer in the first place.